Looking outside...it's wicked cold. In fact, I don't think it's hit the 20s yesterday or today. We've had some gorgeous hoar frost though. We're looking at negative temps this coming week. Listening...to The Artist getting ready to leave. He's spending the day with a friend's family. The Doctor is in the office. Loving...that we are welcoming in a new year. Like many people, our 2016 was a difficult one for a myriad of reasons and while we had some good moments, I am not sad to see it leave. I have hope for 2017 and the new opportunities that are coming our way. Thinking...that my brain has too many tabs open right now. We all say things we shouldn't at times. But, it is difficult to have relationships where there is poor communication. When each party believes they are right in their perceived opinions and each refuses to not only see the others' perspective, but admit fault or accountability for the failed relationship. In my years working in the professional world, I learned very early on that people have more respect for someone who can admit they're wrong or that they made a mistake, rather than deny something. But I also learned that many people have a complete inability to do so. I once worked with a woman who, despite being presented with photographic proof, would lie to your face rather than admit she'd made any kind of mistake or said or done anything hurtful. And in any kind of relationship, it's sad to realize that while there are regrets, you can't do anything to change the past and perceived wrongs or hurt feelings sometimes just can't be overcome. But hopefully there are lessons to be learned and experiences not to be repeated. And perhaps, at some point, a softening of hearts. In my kitchen...a cup of hot chocolate. Wearing...blue BSU pajamas, gray turtleneck and fuzzy purple slippers. Hoping...I don't even know what to say. I have so many thoughts going through my mind right now. There are opportunities and unknowns and so many possibilities before us. Reading...nothing of note. This has not been a great reading year for me. I do have a 2016 wrap-up post scheduled for Monday. Today...a quiet day at home. The Boy had his wisdom teeth out on Thursday, so he's still swollen and in some pain, but he's hoping to finally eat real food today. The Artist is hanging out at a friend's house and has a youth dance tonight. We have no New Years Eve plans. We really are homebodies. We do have dinner plans tomorrow night with good friends. We watched The Martian (extended edition) last night as a family. Love that movie. Loved the book, too. Feeling...So tired. But so relieved in may ways. As of today, we are truly self-employed. There is a maelstrom of emotion involved, but also a sense of relief. It is time. Planning...we have lists of things we need to take care of in the next couple of weeks as we get things finalized for this new practice. Gratitude...for my family. For extended family. For good friends. For a support system. For faith, fleeting though it sometimes is. For hope. For life lessons, change and opportunity. 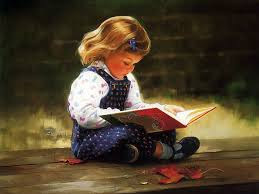 Thank you for visiting here at 2 Kids and Tired Books. Thank you for your comments, for your thoughts. Thank you for your follows on Facebook and Twitter. I wish each of you an amazing 2017. May your hopes, dreams and wishes come true and may you find joy in your journeys. I remember a time when letter writing was the only way to communicate with people long-distance, other than phone calls. I have hand-written letters that my dad sent me while I was in college and I treasure them, now that he's gone. He traveled quite often for his job when I was young and while most of the time his travels were classified, he would sometimes send us postcards when he could. I love sending and receiving postcards in the mail. It is always a treat to receive a quick note from someone who was often traveling. Caroline has led a privileged life, supported by her Aunt Phoebe. But when her impulsive elopement to Cairo quickly turns sour, she finds herself alone with a newborn son. Then war breaks out and Caroline feels compelled to play her part. Leaving her son, Desmond, with Phoebe, she begins a dangerous existence on the front lines. But when Caroline finally returns, Desmond has disappeared. 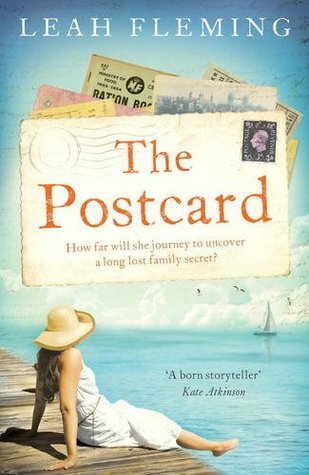 From the wild moors of Scotland and wartime London to exotic Egypt and the Australian frontier, Leah Fleming weaves an epic tale of love, loss and the ties that bind families together. Following the unexplained disappearance of her parents, and in a last ditch attempt to save the antique store she has inherited from financial ruin, Sarah Lester takes on a deceased estate. Amongst the estate is a collection of fifteen vintage postcards. 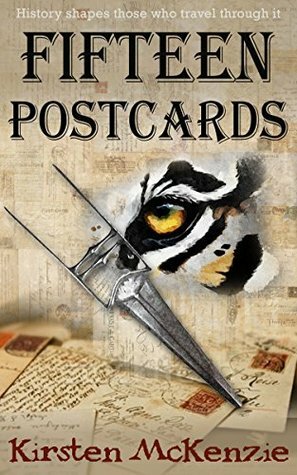 Sarah is unprepared for what these postcards hint at about their reclusive former owner, and soon they complicate her life in unimaginable ways. Traversing three continents and two centuries, where tiger hunts and ruby necklaces are irrevocably entwined with murders and mysteries, auction houses and antiquities, Sarah is drawn into the enigma that could solve her parents' disappearance. 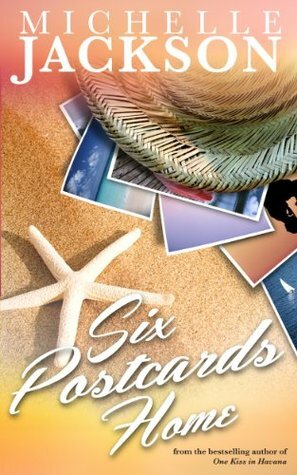 Michelle Jackson's sixth bestselling novel Six Postcards Home is set in Dublin, London and Spain. Karen and Greg fall in love as teenagers but their story doesn't run smoothly as a series of events and circumstances prevent them from being together. As middle age approaches it seems they will never be together...or will they? 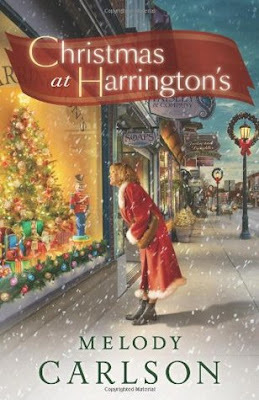 One night, at the end of an alley, Rose Margolin's world changes forever, as if everything she's ever known and trusted was pulled like a rug from beneath her feet. Everyone sees Isador for the dreamer he is, a talker, and ambitious to a fault—everyone that is except for Rose. She's head-over-heels in love and determined to follow Isador wherever he leads, never imagining she'll one day find herself face-to-face across a table from the boss of one of the 1920s era mobs and seeking help in the most unlikely places, from Jacob Moll a young neighbor and Samuel Bloom, better known as Earl the Ear—one of the mob's most feared leg-breakers. 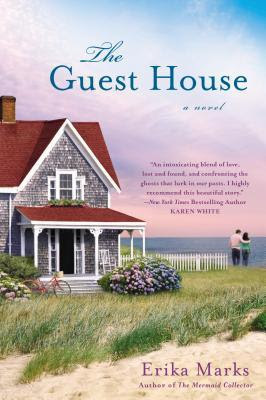 The Revere, Massachusetts setting for Rona Simmons' touching second novel is no accident. 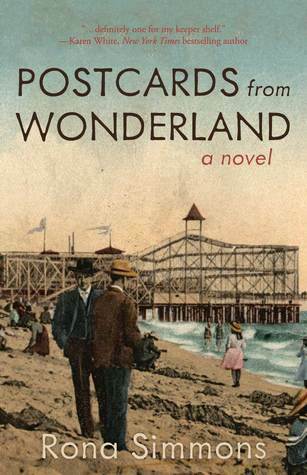 The beach at Revere, once known as "America's Beach", hosted Wonderland Park, an extravagant amusement park some consider a precursor to Disneyland. It was unlike any other seen before but proved to be unsustainable, its founders' dreams dashed and their finances depleted, the park vanished, leaving behind only memories and postcards. Letters. 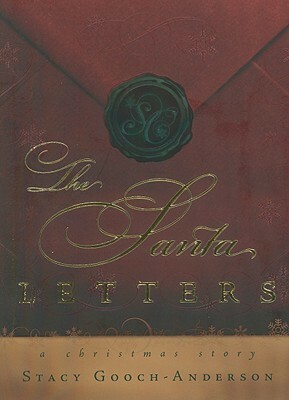 Hand-written letters. Don't you miss those? Technology is great, but holding a hand-written letter in your hand is special. This girl? She's holding a handful of letters, obviously cherished because of the ribbon wrapped around them. Who are they from? What do they say? What secret thoughts are shared and confessed? I normally do these reflections on Saturday, but it seemed appropriate to share them today. Looking outside...it's cold and white. We woke up yesterday morning to 5 inches of new snow, on top of the 3 we had received on Friday. We have a white Christmas! Listening...to Christmas carols. The boys are enjoying their Christmas gifts. The Doctor is taking a nap. Loving...this Christmas season. I love that Christmas is on a Sunday. It just felt right to go to church on Christmas Day. Our Sunday morning was a lovely musical program and we sang, I Heard the Bells on Christmas Day as the closing song. I love that song. It's my favorite Christmas song. Thinking...that it's been a good morning. We went to our ward for church and then went to my Mom's ward because she narrated their Christmas music program and my sister sang in the choir. Then, Mom came over for presents and we had a delightful time opening gifts. I find so much joy in watching the happiness of others as they open their gifts. In my kitchen...a cup of hot chocolate right now. The roast is in the oven. We will have our Christmas dinner around 6:00-ish. I think there will be 10 of us. Last night we had our traditional soup dinner. I made taco soup and we ate by candlelight. It was delicious. Wearing...black skirt, black turtleneck, dark green cardigan and slippers. 'There is no peace on earth,' I said. of peace on earth, good will to men.'" I was filled with a feeling of hope, for there are good people in this world. There are wonderful people in our communities. You are amazing. We have a twisted media that doesn't like showing us the good things. Or, if they do, it's not on a regular basis and its always biased. But, we can each make a difference where we are. We don't have to hate. We don't have to be mean and angry just because someone is different than we are, or has opinions or thoughts that differ from ours. We can smile. We can let a car merge in front of us. We can shovel someone else's driveway after it has snowed 5 inches overnight. This world will move forward one way or another. Whether we all sit back and just observe it or whether we do all we can to make a difference is up to us. The world revolves, the sun always rises. What kind of day are you going to have? You are good and there are so many fantastic people around us. Be one of those people. Make a difference. Be kind. Do good. Love is a verb. Reading...last night we had our traditional story sharing. I love Christmas stories because they touch and inspire. Today...we had a wonderful time at church. We have opened gifts and shared with one another. We are hosting Christmas dinner at our home tonight and there will be about 10 of us. I am looking forward to spending this evening with family. To laugh and talk and share. To spend time with one another. To feel and show love. Quoting...While I love the original Hallelujah, I've never understood how it could be considered a Christmas song. So when Cloverton came out with their Christmas version, I loved it. The Christmas lyrics fit the song so well. Take a few minutes to listen. Feeling...tender-hearted. My emotions are close to the surface. I am greatly blessed. Planning...I am not planning anything today. Christmas is a day to enjoy. To enjoy life and the company of family and friends and to reflect on the birth of Jesus Christ and the gifts He has given us. Gratitude...for my family. I say that a lot, but they are my world. These men of mine are amazing. I am grateful for a home filled with laughter and love. It has been so fun to listen to the boys be back together and laugh. There was a wrestling match this week and they were under threat of death if they hit the Christmas tree, but it was so fun to see them acting like tiger cubs and not almost full-grown men. This was our Christmas tree early this morning, after Santa had brought his presents. I love the magic of Christmas. What about you? What are you reflecting on today? From 2 Kids and Tired Books, we wish you the Merriest of Christmases and the Happiest of Holidays. I have been thinking about traditions this week. 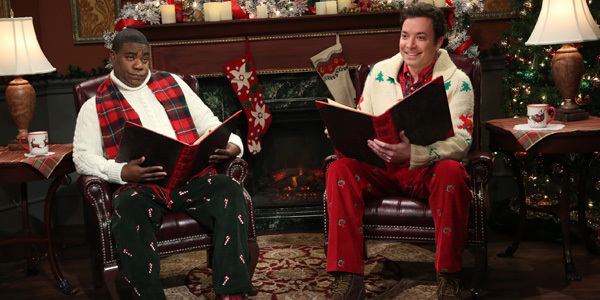 Christmas is almost here and this time of year, more than any other, is filled with traditions. We have a Christmas tradition of new ornaments for the tree. Each of us gets a new ornament that is added to our eclectic tree. When the boys leave home, they will take their box of ornaments with them. When The Artist leaves, I will need to find a dinosaur ornament to represent him because he will take the 12 dinosaur ornaments we have. We have a Christmas tradition of reading Christmas stories together on Christmas Eve, always ending with the account of Christ's birth in Luke 2. Finding that perfect story to share is something I look forward to doing each year. We have a Christmas tradition of driving around and looking at Christmas lights on Christmas Eve before reading stories. This began with The Boy and we have continued it each year. We have a Christmas tradition where Santa leaves the stockings at the end of each person's bed. And we have a tradition that if you don't believe, you don't receive, because Santa represents everything that is good and wonderful about Christmas and giving to others. Last year we saw Star Wars: The Force Awakens on Christmas Eve afternoon. Mostly because it was the only time we could see it all together, but I think seeing a movie together on Christmas Eve afternoon might become a new tradition because we enjoyed it so much. In fact, this Christmas Eve we will see Rogue One. We have always carried over my family's Christmas tradition of a simple dinner of soup and bread on Christmas Eve to symbolize the humble circumstances into which the Savior was born. Then, we would have our big dinner Christmas day. This year, my husband has been following a keto or low carb, high protein/high fat diet and has lost nearly 100 lbs in 8 months. I am learning a new way of cooking for him. But, this way of eating has made it challenging for me to find a keto-friendly soup that all of us will enjoy and that we could serve on Christmas Eve. The Doctor asked me why the meal is so important and I really didn't have a ready answer for him. But, in true Holly fashion, I have pondered the reason a great deal. Sharing a meal and sitting around a table, whether it be formal or informal is something that bonds people together. We share, we talk, we connect. Sharing meals brings people together in a way that nothing else can. And when we share a meal together at Christmas with the memories that take us back to past Christmases, our hearts and thoughts coalesce and we feel a link to each other, past and present. For me, as I sit around our candlelit Christmas Eve table, I think back to sharing meals with my father, who has been gone for 14 years now. If we have Christmas Eve dinner at my mom's home, she will make homemade chicken noodle soup, complete with homemade noodles and the memories of Christmas with my dad are even stronger. Traditions unite us. Memories are important. But as I have pondered my frustrations over what to prepare for Christmas Eve dinner this year, I have realized that what is most important to me is being together. Sitting around that table with my husband and sons and anyone else who has joined us. Even if the meal isn't the same, the tradition of sharing a meal together is. Those memories are still there and new ones will join them. So in the tradition of doing new things, we will still have our candlelight Christmas Eve dinner, but it will likely be snow-grilled chicken with stir-fried broccoli and salad. Maybe some brownies the boys and I can eat for dessert. And we will talk and share and laugh. And like our new tradition of seeing a movie, we can start a new tradition of what we serve for dinner. And, afterwards, we will drive around, looking at Christmas lights before we come home and gather around the fireplace together to read Christmas stories and reflect on the gift of our Savior's birth. We will be together. 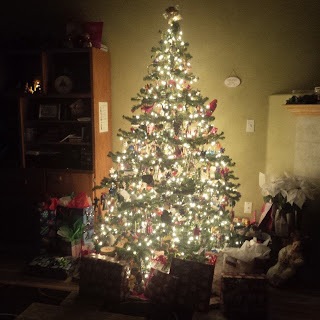 Remembering past Christmases and people we love and making new memories to reflect on in the future. From our home to yours, Merry Christmas and Happy Holidays. May your holiday season be warm and filled with tradition and memory and love. 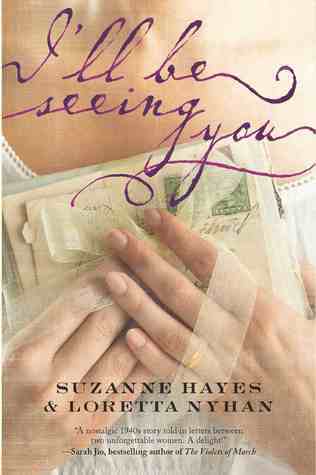 This cover is so rich, so sumptuous. It's a gorgeous letter. The monogrammed seal would suggest the letter is from Santa Claus, not to him. Who is he writing to? What is the story? This is one of my favorite Christmas stories. I enjoy reading it each year. Mrs. Claus to the rescue. Merry Christmas! 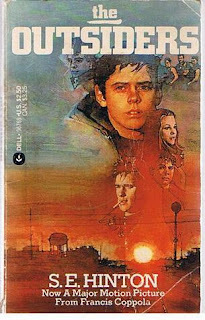 I discovered The Outsiders in the 8th grade when I was a library aide. I absolutely loved it. Ponyboy, Sodapop, Darry, Johnny. All of them. The story resonated with me in ways I didn't even understand. I internalized the story so much that I wrote what I now know is fanfiction because I thought the Curtis brothers needed a sister. So I gave them one. Her name was Daisy. She was Darryl's twin and she mothered all the Greasers. When the film came out and it was full of actors from my own generation, I loved it. It was a fantastic book to film adaptation. The Boy read The Outsiders in the 8th grade and loved it. It had been quite a few years so I read it along with him and I was surprised at how short it was. But, the story still moved me and brought back memories. When we watched the film together we had some great discussions. Still one of my favorites even after all these years. I love Christmas books. I collect them and each year when I bring out my decorations, I bring out the huge, heavy box of Christmas books. This is one of my favorites. And I still love this cover. So bright. So Christmassy. What is this woman looking at? She's hopeful and the sights and sounds of Christmas are so inviting. This was my Google. 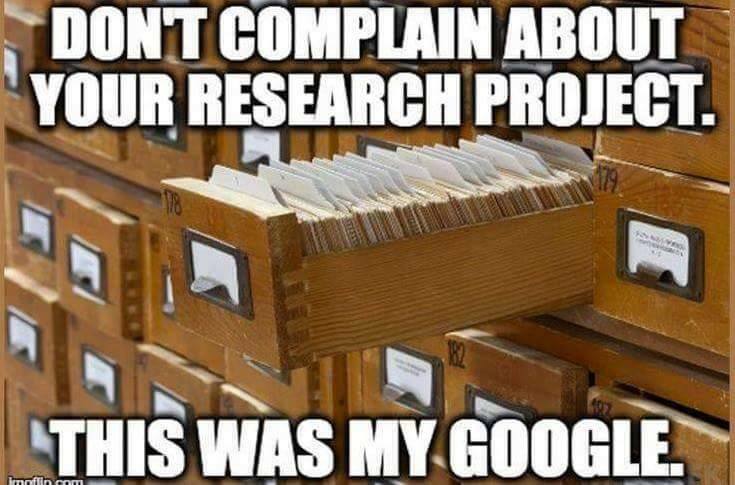 I loved the card catalog. 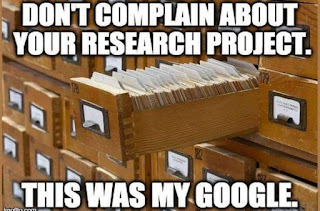 I miss the card catalog! Jimmy Fallon and Tracy Morgan. Looking outside...it's cold and cloudy with a chance of snow. We had snow Thursday and Friday. Unfortunately for The Artist, no snow day on Friday. We have shoveled a lot of snow though. Listening...to Christmas songs. My stereo hold 5 CDs. I have quite a few Christmas albums and I alternate them in my car, where I currently have SHeDAISY: Brand New Year, Elvis Presley Christmas Duets and Andrea Bocelli: My Christmas. In the house? My favorites that just don't change. Collin Raye Christmas, Afterglow: A Christmas Wish, Vince Gill: Let There Be Peace on Earth, Osmond Family Christmas that I sometimes swap out for Amy Grant: A Christmas Album and Alabama Christmas. And it's not Christmas until you hear Alabama sing, Thistlehair the Christmas Bear. Truly. Loving...spent time with my mom this week to celebrate my birthday early since I won't be here for part of next week. We did some shopping and lunch, which is our tradition. I found two skirts. I love skirts, I wear them all year and I've wanted to find some denim skirts I could wear with my boots this winter. CJ Banks is my favorite store. I even shoveled snow and spread ice melt yesterday wearing a skirt. Thinking...that I really need to get my act together and figure out Christmas. Hoping...that answers come. There are some uncertainties on our immediate horizon and faith isn't always an easy thing. Today...dinner with friends tonight. I'm looking forward to good food and even better company with lots of laughter. Feeling...So tired. So drained. This has been a long and difficult year for different reasons. Planning...next week. On Thursday, I am driving over to Rexburg to pick up The Boy from school and we will drive down to Salt Lake for a wedding. We'll come home Sunday. I'm looking forward to spending time with him and seeing friends. But, I don't like leaving The Doctor and The Artist. Gratitude...for fuzzy socks, thick blankets, fireplaces and warm cups of hot chocolate. We've had a week filled with snow and ice. It's definitely winter here. 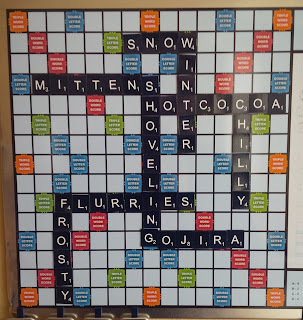 This is my Scrabble Word Art for the week. Can you see what words I put up and then what word The Artist added? We are all about Godzilla at our house. I love it! Our family went out to dinner last week. On the way home, we were near the hospital and The Doctor wanted to stop and see a patient. We pulled up in front of the entrance and got out of the car. The Boy drove himself and The Artist and Grandma to get ice cream and then they were going to come back and pick us up. 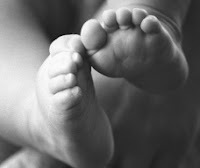 As we walked up to the entrance, The Doctor noticed a young couple coming out of the maternity center and walking to their car parked near the door. It was apparent that the young woman had recently given birth and they were leaving through the door that led to the NICU, without a baby. He immediately detoured over to them. I heard him say, "Did you just come from the NICU?" They nodded and the looks on their faces could only be described as shellshocked exhaustion. The Doctor said, "I know this sounds forward, but I just wanted to tell you that there is hope and don't lose faith. That young man who just drove away? He spent 3 weeks in the NICU when he was born. He is now 18 and in college and strong and healthy. I just want you to know that there is hope beyond how you are feeling today." The conversation was brief as they told us a little about their baby son and we encouraged them. They expressed their appreciation and how much it meant that we took the time to speak to them. We wished them luck and they went their way and we went into the hospital to visit our friend. I asked The Doctor why he stopped and he said, "I saw what door they came out of. That's where the NICU is. I just felt this strong impression that I needed to talk to them." I told him that I was glad he had been alert to what was going on around us. I have thought so much about those young people since then. I wish I had asked if they had a support system. I wondered if they had a place to stay that night. I wondered if they were from the area and lived nearby or if they had family close. I wish I had walked around the side of the car to speak directly to that sweet young mother, to have given her a Mom hug and assured her that she was indeed strong enough to handle what might be coming her way. When The Boy was born, we had an incredible support system. We had been offered a place to stay at the Ronald McDonald House there in San Francisco, but we only lived about 45 miles away from the hospital and we drove home each night to sleep in our own bed. We had family who drove with us to the hospital, who sat with us, friends who brought us meals and who prayed for us. I wished so much that I had done more that night. I said to The Doctor, "If we had asked if they had a place to stay and they said no, what would you have done?" His reply? "Kicked The Boy out of his room." I smiled and said, "I had the same thought." I had a business card I could have written my number on and said that I was available to talk or come and sit with them, bring coffee or a meal, whatever was needed. I am sorry I didn't think about it at the time. But, I know that hospital and I know that there are resources available and social workers who help families navigate their medical roads, much like we had 18 years ago, so I knew that those sweet parents would have emotional and physical support. But, I still wished I had done more. NICU parents share a special empathy and while we don't want people to join this particular club, we are all supportive and welcoming. We willingly share our hard won knowledge and experience with others. So The Doctor and I have talked about what we might have said or done and what we could do in the future, if we are in a similar situation. We are talking about how we can give back. How can we help and support others who might be going through a difficult situation in a NICU? I know that there is a Ronald McDonald House in Boise and I am happy to donate to such a worthy, amazing place. I have been profoundly affected by an experience for the second time in as many months. And as I have reflected, I have remembered. I remembered that there were many prayers said in our behalf and in behalf of The Boy when he was born. We felt those prayers. And so I have also said many prayers this past week for that sweet family and their precious baby. Because prayer is important. Prayer has power and God listens. Pray for others. Embrace opportunities to share and give back. Be kind. Do good. Love is a verb. The beach. I miss the ocean. I'm sure I've mentioned that ad nauseum on this blog, but it's true. I miss the beach and walking along the shore. The dunes, the grass, the wind, the smell. This scene is idyllic. A cozy cottage next to the ocean. A couple standing together looking over the sea. Are they happy? Are they angry? Is one coming or leaving?